Educating students about the UK’s diverse mix of cultures promotes inclusion and tolerance. Take your pick of our resources. London is made up of more than 270 nationalities with more than 300 languages now spoken in the capital’s schools, so what does it really mean to be British? 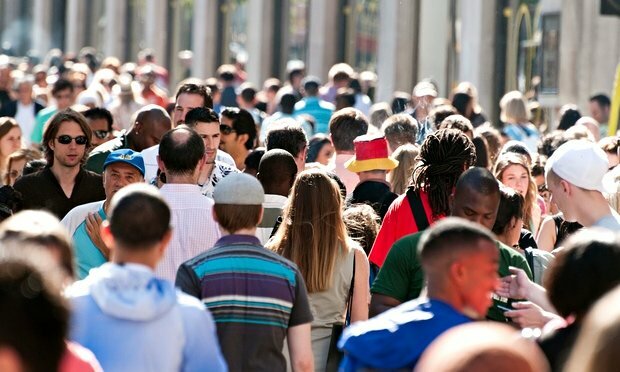 Teaching students about the UK’s diverse population is a good way to promote inclusion and tolerance in class, and there are plenty of ideas on how to tackle the topic of immigration on the Guardian Teacher Network. A good place to start is by exploring the history of immigration and emigration to and from Britain with this lesson plan by Teaching Resources Support, suitable for key stage 3 students. Another lesson by TrueTube asks what makes Britain British? Students could work in groups to create a timeline from the 1st century to the present day, showing how Britain has been a multi-ethnic country for most of recorded history. An accompanying lesson plan discusses the benefits and challenges of living in a multicultural society. Students could create a word bank of terms such as segregation, integration, diversity, prejudice, identity, isolation, extremism and discrimination. The lesson includes instructions for a fun game called Turnabout, which tests debating skills. You’ll need a few prepared statements for and against immigration such as: “We should all be free to live where we choose”, “People should live and work in the country where they were born”, and “Multiculturalism is good for Britain”. Students must present their argument from one point of view until a bell sounds, signalling them to change their stance. Working in groups, you could ask students to explore why people migrate using these three lessons from the Geographical Association. They are for secondary students and cover migration, migration within the EU and the case of refugees and asylum seekers. Get students to think about any emotions you might have arriving in a new country. What are the benefits of immigration? Are there any challenges that might have to be dealt with in the communities where immigrants live? Students could use these ideas in a piece of persuasive writing, for example, a letter to the prime minister arguing why it is a good thing to allow people to migrate to the UK to work. Or they could write a postcard from an immigrant to a friend back home sharing their feelings about living and working in a new country. Immigration has fuelled political and public debate, as opposing views on unrestricted migration within Europe put Britain’s future in the EU under the spotlight, so why not explore this subject by looking at the news? Get students to look at recent research from University College London, which found that European migrants contributed £20bn to the UK economy between 2000 and 2011, with an article by The Day. Ask students to identify some of the main arguments for and against immigration in the article. Can they separate these by their economic and social impact? Other related articles examine the dramatic rise of Ukip and immigration in Iceland. Another good activity is to examine how news relating to immigration is presented in the media. Working in groups, ask students to gather a selection of headlines about immigration. How do they vary in tone? Using figures from the Office for National Statistics, challenge half the class to write an article in favour of immigration, and the other half to write an article that’s against. Compare how much empathy for the people is shown in different articles. You’ll find plenty of material to stimulate discussion here. Experiences of immigration to the UK is a fabulous resource by the National Archives, suitable for all ages. It looks at the years between 1948 and 1970 when nearly 500,000 people left their homes in the West Indies to live in Britain. The documents provide a glimpse of what their life was like. Ask students to write a list of questions they would have asked one of these people, then role play the answers, or design a leaflet explaining what a person from another part of the world might expect when they arrive in Britain. The Museum of London has created a pocket history resource for secondary students, which explores how the city has become one of the most culturally diverse in the world. Are students surprised by this? How does this compare with the area in which they live? The resource includes two quizzes that examine students’ knowledge and assumptions about refugees, asylum seekers and being British. Finally, encourage primary children to celebrate diversity with these worksheets –We are all different and New boy in school – by Seeme Resources. What do they like or dislike about being in a new place? Share any experiences of moving house or starting a new school. As a homework activity, students could find out if they have friends or family who have moved to Britain. Where did they come from and why? The information could be presented in an assembly. A display could also be created on the theme of what Britain has gained from immigrants in terms of music, food, literature, fashion, new customs and pastimes.